Home > Black Cat Hill Books > The Tragedy of King Richard The Second. New Haven, CT Yale University Press, 1921. Hardcover First Edition ; Fourth Printing . Very Good+: shows only the most minute indications of use: the backstrip is sunned, but the gilt titles thereon remain fully legible. Mild rubbing and the faintest soiling to the blue cloth over boards. The binding square and secure; text clean. Free of any ownership names, dates, addresses, notations, inscriptions, stamps, plates, or labels. A handsome, nearly-new copy, structurally sound and tighly bound, showing only a couple of very minor flaws. Very close to 'As New'. NOT a Remainder, Book-Club, or Ex-Library. 12mo. (6.9 x 4.55 x 0.7 inches). vi, 163 pages. 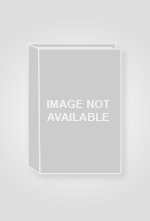 Edited by Robert T. Petersson. Language: English. Weight: 6.4 ounces. First Edition ; Fourth Printing . A Volume in The Yale Shakespeare Series (Standard Yale Shakespeare Edition, with Blue Cloth over boards). Hardback: Lacks DJ. Title: The Tragedy of King Richard The Second. Edition: First Edition ; Fourth Printing . 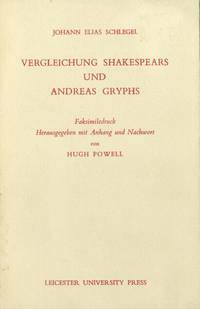 Vergleichung Shakespears und Andreas Gryphs.